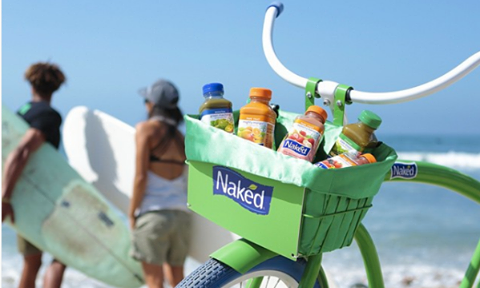 According to a lawsuit filed by The Center for Science in the Public Interest, PepsiCo was accused of misleading consumers by marketing its product, Naked Juices’s Kale Blazer, as predominantly containing high-value ingredients. The non-profit organisation said in its press release that the “no sugar added” claims on the product’s labels implied that the drink was low in sugar “when in fact, the drinks are high in sugar”. The proposed class action complaint contends that PepsiCo has “unjustly enriched itself” and asks the court to provide injunctive relief and monetary relief for misled consumers. The organisation also said PepsiCo “failed to prominently disclose that the drinks are not a low-calorie food”, as required by the Food and Drug Administration. It added that the beverage giant exaggerated its ads on social media and OOH. “Outdoor advertising for Kale Blazer has included statements such as ‘have your kale and drink it too’, implying that the product is predominantly, if not exclusively, kale,” it said in the statement. PepsiCo, however, refuted all the allegations. In response to the above lawsuit, PepsiCo issued a press release which called the lawsuit baseless. The company stated that there is nothing misleading about the juice products and every bottle of Naked Juice clearly identifies the fruit and vegetables that are within. For instance, the label on the juice accurately indicates each bottle contains 5 3/4 kale leaves. The company also said that sugar present in Naked Juice products comes from the fruits and the sugar content is clearly reflected on label for all consumers to see.